Price of Amsoil EaBP-90 oil filters? Anyone know the going price of Amsoil EzBP-90 oin filters? This site has the at $36.65 each? This sees a little over priced to me. Anyone know a less expensive source besides Ebay? $35 is what I paid for mine from a local dealer last year. Its not like the main oil filter, you don't change it every oil change. You only need to change it when it no longer gets warm from the oil temperature. I just ordered 2 filters, the EAO-26 and the EABP-100. $57.83 total with ship and tax. Sign up as a prefered customer and buy at the wholesale price plus the shipping. my daughter lives around the corner from the warehouse in oregon. so when we go up there I stock up, no sales tax in Or. and save on the shipping. Last edited by charmalu; 03-25-2008 at 11:19 AM. Thanks; but that is sad news. It sure makes the various toilet paper type filters look more appealing. I don’t know if I will ever be curious enough to have a lab test done on the bypass set up I put on. It goes through 2 bypass filters; the stock bypass section and through that Baldwin bypass filter I put on. 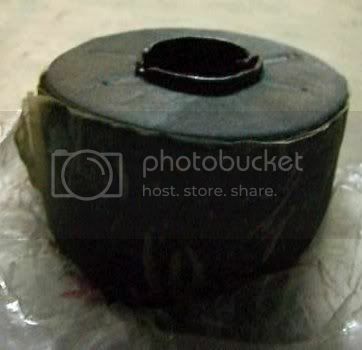 While I was looking around the internet I thought I saw a company that had 1micron oil filters that used filter elements with cord/string wrapped around them but I cannot find the notes I made with the company name. I believe the filter elements were in the $13 range. Other way around. It has a known single digit micron rating that does not vary with paper brand and does not have any chance of the oil passing around the filter media. At least 2 of the toilet paper type oil filters companies sell there own elements that I assume fit properly and should = no passing around the filter media. If someone is concerned with poor fitting elements they need to buy the ones the maker sells (The one companies is in the $5 each range + the shipping). Also from the pics I have seen of used TP elements it looks to me like the swell up (some people said they were sometimes not easy to remove ) indicating they hav some ability to fill the filter housing. In the reading that I have done the biggest complaint about the toilet paper type oil filters is that they need to be changed too often (around every 2500-3000 miles). I think If the filters are plugging up this means that they must be working. The next complaint was that they were a inconvenient mess to change. Several people said the got rid of their toilet paper type bypass oil filter system to a spin on due to them plugging too soon or because of the mess to change them. I have not found any article that said they did not work. Here is a pic of a used tiolet paper oil filter "element"; looks to me like this element swells up when the oil saturates it. The filter filters from top to bottom and you cannot even that there are any spaces for "channeling" of the oil. You can also see that there is not as much surface area avaliable at the top of the filter compared to a pleated type spin on filter medea; which may be why they plug up around 3000 miles or so.